“My dream is to follow the footsteps of my big sister, Almaz, who is a second year university student. I always want to be like her and do better in my education. When I grow up, I want to be a teacher”, says Mestawet who has now turned into the voracious reader she has aimed to be. In a village named Beliguyow, Meriam Mohammed and her husband used to live happily with their three kids. But after the drought caused by El-nino, things start to turn upside down. She now lives in a temporary settlement site. Assisted by his coaches, Eyasu has established a good link with the local microfinance office and enquired about the loan criteria. Considering his technical and psychological readiness, he was granted to receive a loan of 150,000 Ethiopian Birr (5,520 USD) from a special revolving credit facility. Banks and issuers have donated more than £25.5m to Save the Children through the IFR Awards over 22 years. In 2017, IFR deputy editor Owen Wild visited projects in Ethiopia that have been beneficiaries of that support. “Is this your first visit in Ethiopia?” John asked. 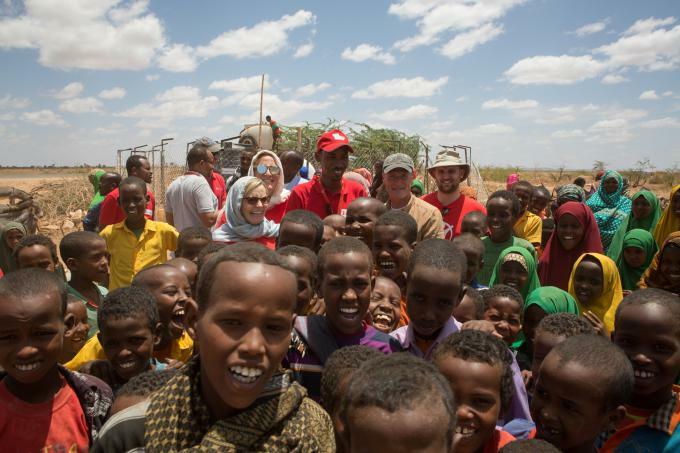 “It is our first visit to any Save the Children project,” I responded. “Then you have been dropped in at the deep end,” he said. Save the Children in Ethiopia actively participated in drafting and finalization of the National Child Policy that has been disseminated and familiarized among wider stakeholders at various levels. The government has also expressed its commitment to develop the implementation strategy that would guide and take the policy forward. Save the Children has been part of the development of this strategy through providing technical and financial support to the Ministry of Women and Children Affairs to this end.